Most people would prefer to receive a video message rather than a long email newsletter full of text that adds to an already full email inbox! Email newsletters can be sent to an entire workforce or specific target audience and are a very cost effective method of communicating with a large audience. We can also create bespoke Virtual Studios for Video Email Newsletters that truly reflect your company’s brand. In addition to sending your newsletters our by email, we can host and stream your Video Email Newsletters on our secure video hosting sites that can be fully branded to reflect your company’s identity. An email newsletter (or HTML Newsletter) is fast and inexpensive to create. This means you can send them more regularly than offline newsletters and even track who has viewed them and which links they've clicked on. We can bring our Mobile Studio to you. All you need is a script and a PowerPoint presentation and you’re ready to start creating your video email newsletters. 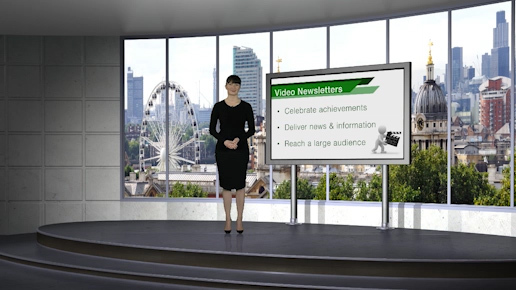 If you are presenting your video newsletter videos yourself we also offer professional Presentation Training and also have some great Presentation "How To" tips available for you. We’ve been creating newsletters and emailing video newsletters for a long time, so we have expertise and experience in securing the best way for them to be sent and recieved successfully. 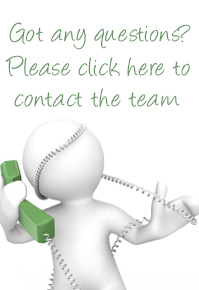 If you would like to work with us to create great video newsletters for your audience, please contact us today.